I have shared our love for Ling Ling Fried Rice over the past couple months. 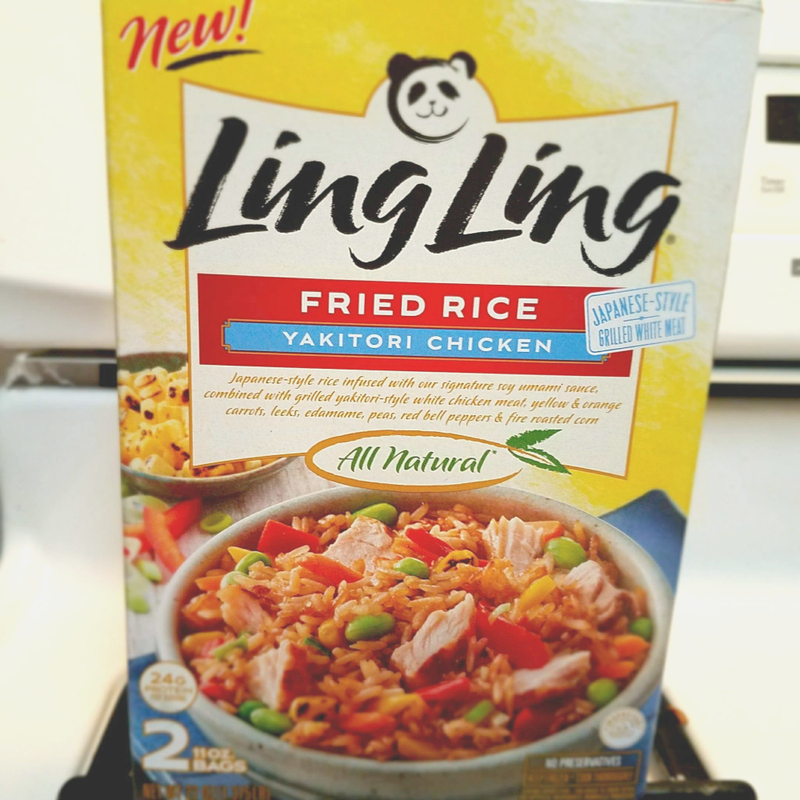 My kids refuse to eat restaurant fried rice now; they are spoiled because every week when I go to Target or Safeway, I pick up two boxes in the freezer section of their favorite Ling Ling favorite blends- Bibimbap Beef & Yakitori Chicken. 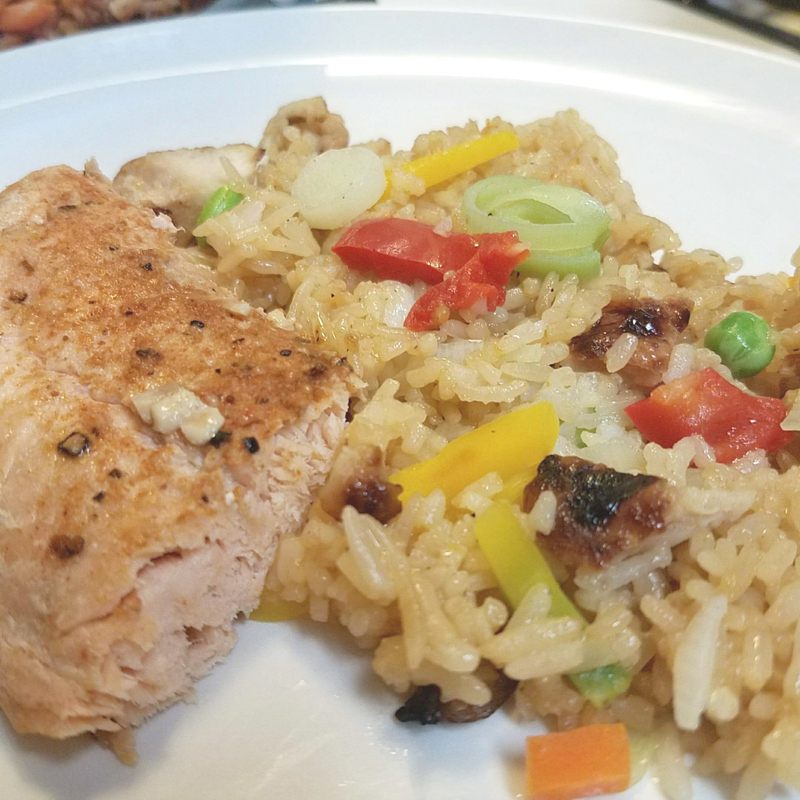 Last week I cooked up some salmon which is my favorite food and decided to pair it with Yakitori Chicken Fried Rice. The rice is tender, the vegetables are tasty, and the chicken tastes liked it was cooked in a wok. No fake stuff here! Salamon goes great with Ling Ling Fried Rice. We gobbled up everything and left no leftovers. Salmon is easy to make and takes less than an hour. Place fillets in aluminum foil, cover, and seal. Place sealed salmon in the glass dish, and bake 35 to 45 minutes until easily flaked with a fork. Place sealed salmon in the glass dish, and bake 35 to 45 minutes until easily flaked with a fork. LING LING FOR SCHOOL LUNCH OR SNACK! The convenience of cooking this in the microwave has my kids making their lunch or snack. My son will eat a whole pack of Bibimbap Beef, and my daughter wants me to pack Yakitori Chicken in her lunch. There are different recipes, and they are all AMAZING! Ling Ling Fried Rice line has five unique dishes based on pure and authentic Asian inspired recipes from Japan, China, Korea and Thailand. 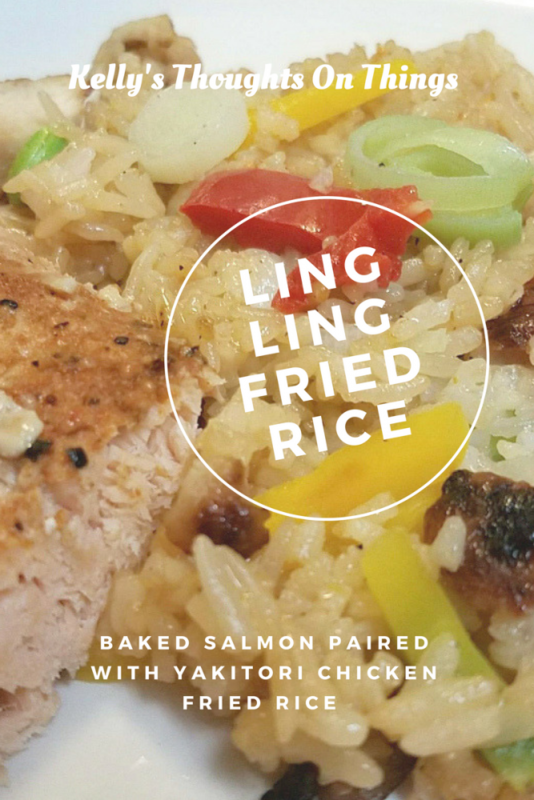 Ling Ling uses a special infusion method that each grain of rice is infused with Ling Ling signature sauces for incredible flavor in every bite. We stay in a lot more now eating food that I can pair with Ling Ling Frozen Fried Rice with my Baked Wontons. I love to serve Asian Style Fried Rice on our family fun nights because it makes me feel like we are eating take out but much better!. Ling Ling will always be a staple in our FREEZER. Becuase with Ling Ling Fried Rice, staying in tastes like going out. WE HAVE A COUPON OFFER FOR OUR READERS: (expires 1/31/18) AT ANY RETAILER WHERE THE PRODUCTS ARE SOLD. Tell us what you will make the Ling Ling Fried Rice? Comment below. I have heard good things about Ling Ling Fried Rice. I would not pair it with salmon although with beef sounds delicious. I might just have it by itself. Yakitori chicken would be great when my oldest or grandchildren are here. The fact that Ling Ling comes from the freezer makes so much difference. 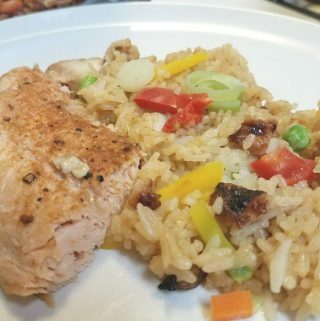 I love salmon but I must admit I wouldn’t have thought to pair it with fried rice. It looks really good though! 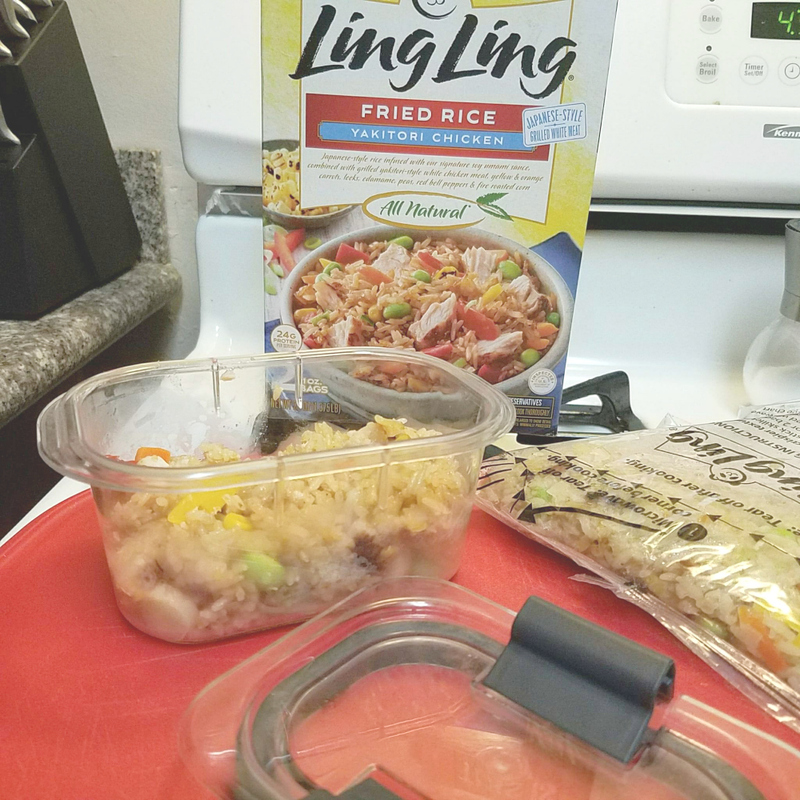 I struggle with making Asian food at home so Ling Ling fried rice would be very helpful. I’ve been hearing so much about this Fried Rice! I think it’s awesome! It’s definitely something that you would want to have especially when you’re a little busy to prepare dinner! I have not tried Ling Ling products before. This dish looks so good especially on a day when I do not have time to make dinner. I cook salmon a lot! My kids love it and so I. Your rice twist looks so yummy and a great way to break up our rut! This baked salmon looks so good. Perfect pack for those who are in rush hour and who are tired of cooking their meal.